With distinctive Asian styling, the Dai Katana features a curved, slender, single-edged blade and a squared guard. The handle of the historical weapon is wrapped in durable leather and can accommodate two hands with a firm, comfortable grip on the battlefield. 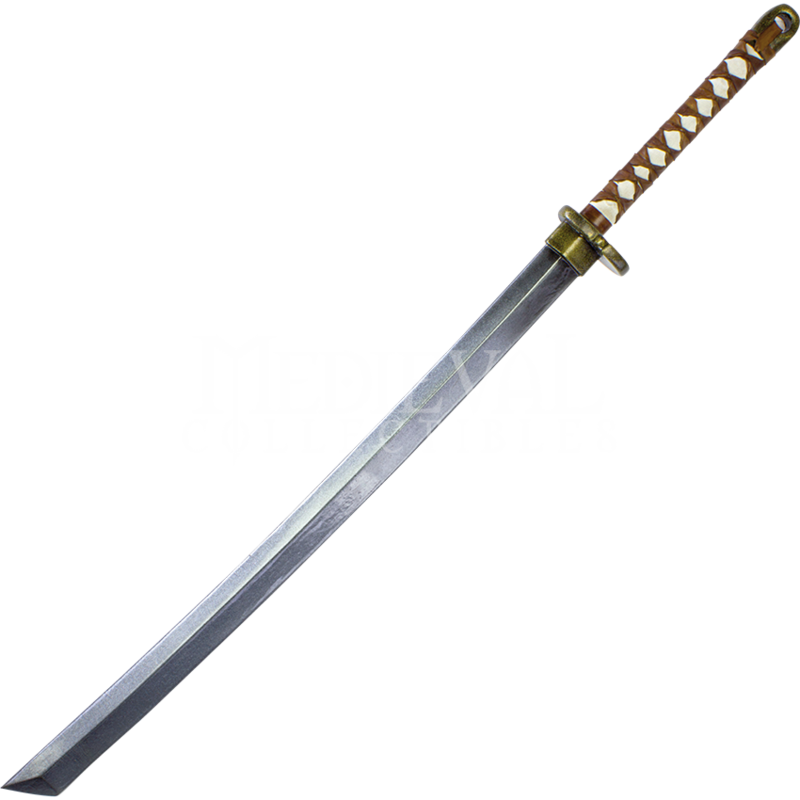 The role-playing sword is made from durable, closed cell foam around a solid fiberglass core and finished with a strong latex coating. You can feel confident in the safety and quality construction of this LARP samurai sword.